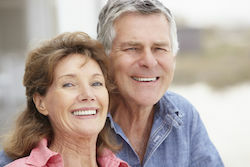 Guaranteed issue life insurance is a type of whole life insurance that is available to almost anyone between the ages of 50 and 80, regardless of their health. With guaranteed issue life insurance, no medical exam is required for approval, and most companies do not ask any qualifying questions about your health. If you have been diagnosed with a terminal illness, or are in poor health, guaranteed issue life insurance may be the only full-coverage option available to you. In the following article, we’ve explained the pros and cons of guaranteed issue life insurance and provided some actual monthly rates by age and gender to help you estimate the cost of your policy. 1. Who Can Apply for Guaranteed Issue Life Insurance? 2. How Can a Company Sell Life Insurance Without Verifying Someone’s Health? 3. Are All Guaranteed Issue Insurance Policies the Same? 4. Which Company Offers the Best Guaranteed Issue Insurance? 7. How Do I Purchase Guaranteed Issue Life Insurance? Who Can Apply for Guaranteed Issue Life Insurance? Guaranteed issue insurance is available to almost everyone between the ages of 50 and 80, even if you have been recently “declined” for life insurance. No health exams or health questions are required for approval, and most policies are approved within a few days. Life insurance is a contract, and the person who is being insured must provide consent for a life insurance policy to be purchased on their life, regardless of any “power of attorney” privileges. In addition, the person being insured must also sign and accept their policy electronically online, or through the mail. How Can a Company Sell Life Insurance Without Verifying Someone’s Health? To keep coverage affordable for everyone, guaranteed issue life insurance policies have a two-year “waiting period” before full coverage begins. During your policy’s waiting period, you will be provided conditional coverage. With conditional coverage, if you pass way from an accident, you’re fully covered for your entire policy’s death benefit. However, if you pass away from a health issue during your policy’s two-year waiting period, your beneficiary will not receive your policy’s full death benefit. Instead, the insurance company will pay your beneficiary a full-refund refund of all the money you’ve paid into your policy, plus 10% interest. After the two-year waiting period, you will have full coverage for your policy’s entire death benefit, regardless of how you pass away. We often receive calls from people who want immediate coverage, regardless of their health. We’d love to help, but it’s important to understand that no life insurance company can afford to sell immediate coverage to someone who has a serious health concern or a terminal illness. These two-year waiting periods are designed to keep your coverage affordable, and the insurance companies in business. Are All Guaranteed Issue Insurance Policies the Same? Like other types of life insurance, every guaranteed issue insurance company sets its own pricing, and some companies offer much better coverage than others. Working with a licensed agent over the phone, rather than completing an application through the mail, may save a lot of money in the long run. • Will my rates ever increase? • Will my policy ever expire? Some policies, including those offered by AARP (New York Life), begin with low “teaser rates” to lure you in, but then they increase your rates every 5 years. These increasing premiums often “price” customers out of their policy when they need coverage the most. • Rates that are guaranteed not to increase as you get older. • Coverage that is guaranteed until the age of 100 or later. In fact, with some policies, your rates will QUADRUPLE in less than 20 years. Some of the policies on the market even cancel your coverage when you turn 80. Longevity is constantly increasing, and most people live past the age of 80. If there’s a good chance that you’ll outlive your burial policy, or if your burial policy becomes too expensive to pay for, you’re better off saving your money instead. Guaranteed issue life insurance policies are usually sold in $5,000 increments, and in most cases, $25,000 is the maximum amount of coverage available. These policies are designed to help a family with the cost of burial, they are not intended to provide a replacement income. Unfortunately, most insurance companies will not allow you to purchase more than one guaranteed issue policy. We’ve heard of people applying with more than one company, but generally, $25,000 is the maximum amount of guaranteed issue coverage available. The life insurance industry is heavily-regulated, and when you apply for coverage, the insurance company will review your existing coverage to prevent fraud and over-insuring. Which Company Offers the Best Guaranteed Issue Insurance? At Term Life Advice, we work with more than 60 top-rate life insurance companies to match our clients with the best options available. For a lot of our client’s, the “final expense” policies offered by Gerber Life Insurance are the best fit. In addition, to offering life insurance to children, Gerber also offers a very competitively-priced guaranteed issue insurance product. If you need help determining your best options, please feel free to give us a call. In just a few minutes, one of our licensed agents will help you compare rates and coverage options from dozens of highly-rated companies. Toll-Free: 855-902-6494. Like all other forms of life insurance, the cost of a guaranteed issue insurance policy increases with age. We often explain to our clients that any type of whole life insurance should be viewed like a savings account. The younger you are when you start saving, the less money you’ll have to set aside each month. Below we’ve provided some actual life insurance rates by age and gender for Gerber’s guaranteed issue insurance product to help you estimate the cost of your policy. These rates are guaranteed not to increase as you get older. *Monthly rates are accurate as of 08/15/2017 and are guaranteed not to change until age 100. If you’re comparing these rates to other options, please remember that these rates are fixed, and they will not increase as you age. Some companies initially offer lower rates, or even offer to start your policy for “just a dollar”, but overtime these rates increase overtime until the policy becomes unaffordable. If you are on a fixed income, make sure you buy a policy that easily fits into your budget, even than its less coverage than you want. If you’re unable to pay for your policy each month, your insurance will lapse, and you’ll be without any coverage at all. Life insurance benefits are 100% tax free, and some coverage is always better than none. Anything you can leave to your loved ones will be very much appreciated. When purchasing any type of life insurance, it’s always best to work with an agent that can answer all your questions over the phone. If you purchase your policy through the mail, make sure you read the fine print and avoid any policy that increases in cost as you get older, or cancels your coverage early. Life insurance increases in cost every year we get older, especially after the age of 60. We talk to some potential clients every single year. They call us hoping to hear that their rates have gone down since last year, but unfortunately, we rarely deliver good news. Buy your coverage now while it’s more affordable, especially if you’re in average or better health. Children can’t buy life insurance for their parents without their knowledge, but they can help pay for it. Many families chip in to cover the cost of a guaranteed issue insurance policy for their parent or parents. If you already have a policy you’ve run into hard times, don’t let your policy lapse; ask your family for help. How Do I Purchase Guaranteed Issue Insurance? Applying for guaranteed issue insurance is relatively easy, and it can done over the phone in just a few minutes. There are no underwriting questions, but these policies do require direct monthly payment from a checking account, so we’ll need to know how you wish to set this up. Other than that, it’s just a matter of you choosing your premium and death benefit. If you’re calling in to help a family member with their coverage, we can help you set up their application over the phone. However due to regulations, we will need their verbal permission to apply for coverage, even if you will be the one who is paying for their policy. All life insurance policies provide a 30-day “free look” period, so you’ll have a full month to review the policy. If you change your mind, or decide you don’t want the coverage, you can cancel within this period and receive a full refund. If you you’d like personalized quotes for guaranteed issue insurance or other forms of lifetime coverage, please feel free to give us a call. We are licensed, independent agents, and our services are free. In one phone call, we will shop more than 60 companies to help you determine which options are the best fit for your situation, saving you time and money. Our agents offer a minimum of 5 years of experience with pre-qualification underwriting for top-rated insurers. If you have any type of health issue, or even a family history of medical conditions, our free consultation can save you thousands of dollars over the course of your life insurance payments. Call us today, toll-free at: 855-902-6494, or a request a free quote only below to instantly compare rates from dozens of highly-rated companies.